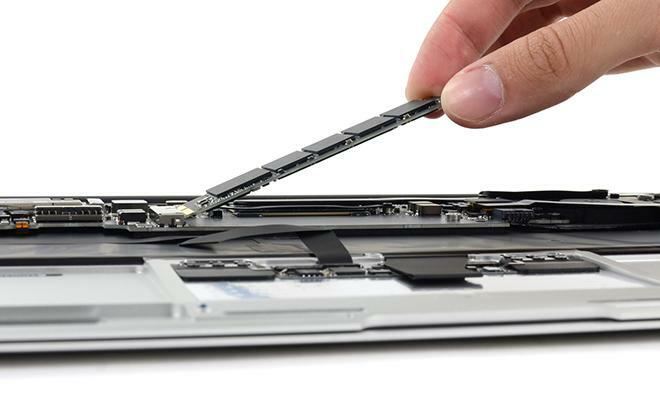 The new 11-inch Air, like the new 13-inch Air, features a smaller SSD module and a new heat sink clamp, iFixit found in the course of its teardown. The ultralight notebook also features an improved battery outputting at 7.6V with 5100mAh. The new battery weighs 8.08 oz and is rated at 38.75 watt-hours, an improvement over last year's model, which weighed 7.9 oz and was rated at 35 watt-hours. Last year's model was capable of up to five hours of battery life, while the new model can give up to 9 hours of operation. The battery, though, isn't the main reason behind the new MacBook Airs' longevity. Much of the credit for that goes to Intel's new line of power-sipping processors. Intel said the Haswell line would enable up to 50 percent longer battery life in notebooks, and those claims appear to have been largely borne out in Apple's new notebooks. 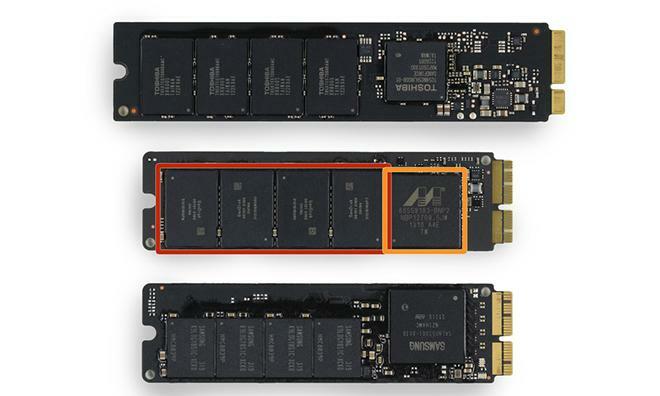 Additionally, the new 11-inch Air sports an updated SSD module. Unlike the Samsung-supplied unit in the 13-inch version, though, the 11-inch unit has a SanDisk module containing a Marvell PCIe SSD controller and 2GB of DDR3 SDRAM from Samsung. As with the 13-inch model, the only real difference in the chassis of the new 11-inch model is the addition of a second hole for the dual-microphone array. Overall, iFiixit gives the 11-inch MacBook air the same poor repairability score as its larger sibling. Giving the new Air a 4 out of a possible 10 for repairability, iFixit pointed to the device's proprietary Pentalobe screws, as well as the soldered-in RAM and non-upgradeable components. 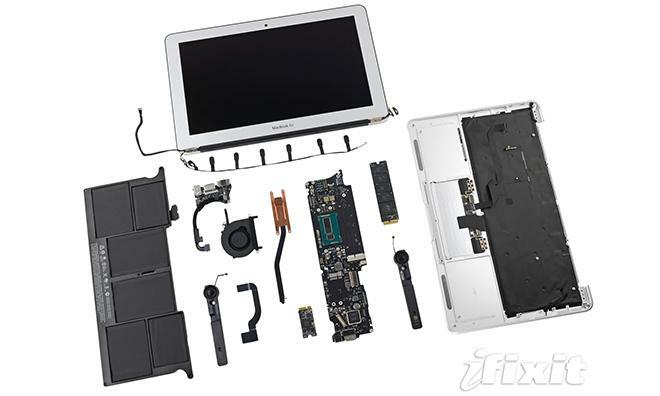 iFixit has for some time been handing out low scores to Apple's products. Devices like the new iMac and the Retina MacBook Pro have gotten thinner and lighter due in part to Apple's reliance on glued- or soldered-in components, which makes upgrading the devices a daunting task at best and typically requires that their repair be left to a professional.